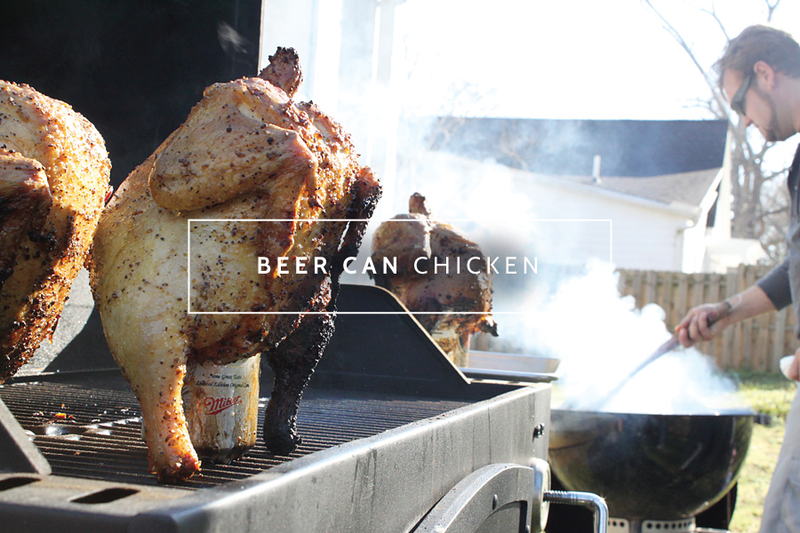 There’s one thing I can always count on when we get together with friends for a backyard barbecue: Beer can chicken. 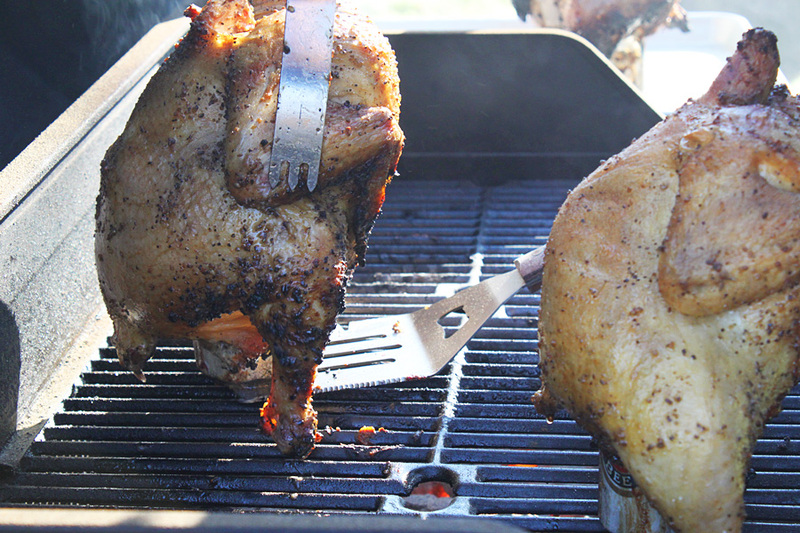 It’s a unique way of grilling a bird that produces the most moist and delicious chicken you’ve ever tasted. 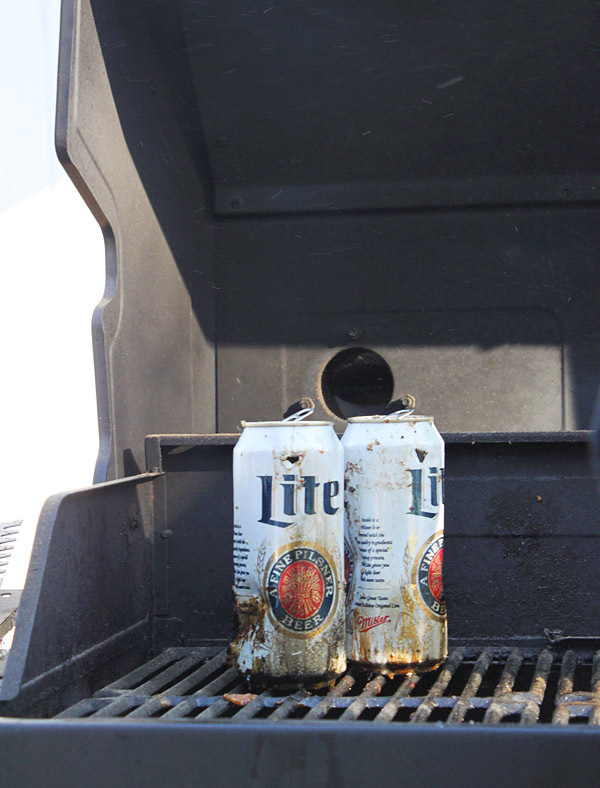 You don’t need any tools or special ingredients, just a can of beer. 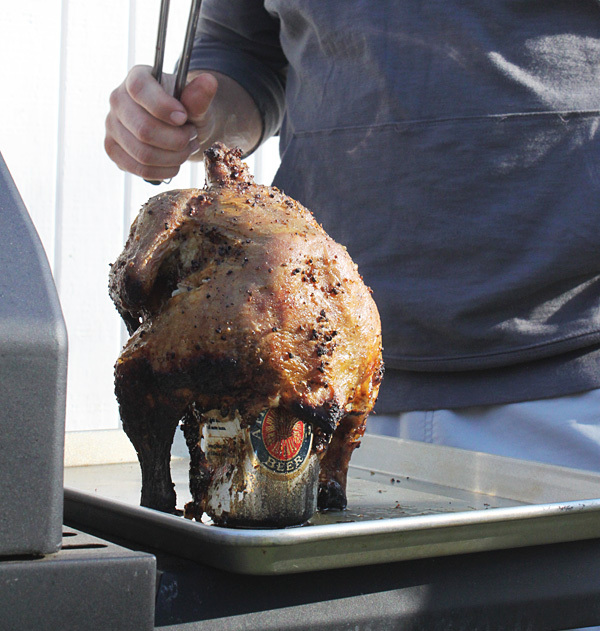 Clean and season your bird as usual, but instead of throwing it on the grill, sit her down on a half-full can of beer (with a few holes poked around the top). Any brew will do, since the chicken doesn’t hang on to the flavor (or the booze–this is a kid-friendly recipe). But as the beer bubbles up on the grill, it infuses the tender chicken with moisture that rumbles together with the bird’s natural juices to create the most succulent and delicious backyard grill chicken in existence. Here’s a recipe for beer can chicken from Real Simple with a killer spice rub, but you can substitute your favorite sauce or rub to make it your own.